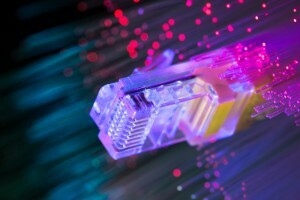 Business broadband is the most common form of connectivity for companies with ADSL being the most popular service. It’s a low cost and easy to implement service that works well for internet access for your business. But there are a number of different business broadband options available, and there are hundreds of Internet Service Providers (ISP) to choose from. Making a relatively simple service, quite tricky to decide on. The first thing that is important when choosing broadband business plans involves choosing the right supplier. We see a lot of businesses using providers that share their networks with home broadband services which leads to your business critical internet usage being shared with consumers who download movies, watch Netflix and play video games. All of which are very bandwidth intensive. That’s why choosing a business broadband provider that only deals with companies is highly important. Your Telecom have partnered with a number of business only ISP’s so that your business internet access does not suffer due to high consumer usage. The second thing we look at is level of service and support. There are a lot of ISP’s out there that have very low cost business broadband deals, sometimes that are even cheaper than basic home ADSL. But at Your Telecom we know that service levels and support when it comes to business internet access is crucial. That’s why we only with ISP’s that have the best service and support. Our ADSL Max service comes in two flavours. The first is our standard service that has speeds of up to 8Mb per second download speeds and up to 448Kb per second upload speeds. Our Max Premium service doubles the upload speeds to up to 832Kb per second. Our ADSL2+ is an upgrade to ADSL Max. It comes with speeds up to 20Mb per second download and up to 1.3Mb per second upload. Our Annex M service is an upgrade to ADSL2+ and comes with speeds up to 20Mb per second download and up to 2.5Mb per second upload. All of our business broadband options are location dependent. If the speeds for a particular service to not meet your business requirements, then don’t worry, we have a number of other solutions here that offer higher speeds. For information on fibre optic broadband (FTTC) for your business, please click here. We have unlimited usage options for all of the above services, but we also have 50Gb limits that are slightly cheaper for businesses that simply do not need unlimited broadband. Whether you require broadband for small business usage, or as redundancy for larger scale solutions, we have the right package for you. See our connectivity page for alternatives to business broadband. To see what business broadband ADSL options are available to you then call us now, or email solutions@your-telecom.co.uk with your postcode and contact details and we’ll be in touch!